Danny Clinch; Ben Gibson/Rocket EntertainmentThe StubHub ticket-resale company has unveiled its lists of the top 10 acts who sold the most concert tickets in and outside of the U.S. for 2018, and both tallies include several veteran artists. In the States, Bruce Springsteen topped the list thanks to his hugely popular Springsteen on Broadway show. 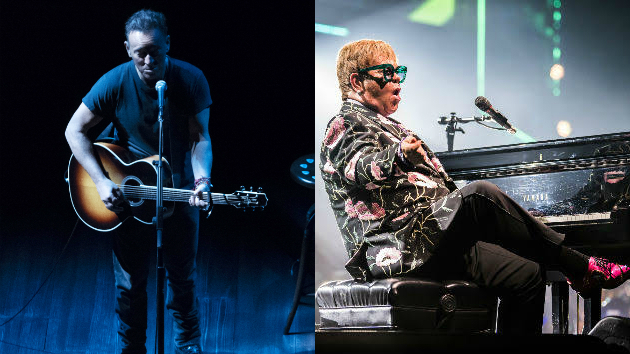 Elton John, who launched a three-year farewell world tour in September, was third on the tally, while the Eagles landed at #7. Closing out the list at #10 was Billy Joel, who continues to play a monthly show at New York’s Madison Square Garden as well as select concerts in other cities. Internationally, Elton also took the #3 spot on the tally. Paul McCartney, who played shows in Canada, Japan and Europe in support of his new studio album, Egypt Station, was #5. U2, whose eXPERIENCE + iNNOCENCE Tour visited Canada and Europe, was #6. The Rolling Stones, who mounted a successful European tour this year, were ninth on the list. Perched at #10 are the Eagles, who played shows in Canada in addition to the U.S. this year, and have announced a slew of international concerts in 2019. The best-selling artist outside of the U.S. this year, according to StubHub, was British pop superstar Ed Sheeran.